Creative Portraiture. Carroll County, MD and Beyond. Congratulations! Your little one is here! Or maybe they’re almost here… But it won’t be long! For new parents, a newborn session can be intimidating. Especially for my mommas, you’re just worried about getting this baby here safely and smoothly. Chances are you’re not ready to think about preparing for photos right after giving birth. I realize that newborn sessions can be intimidating and you’re probably wondering what to expect. So here are 5 things to keep in mind when it comes to your session. Newborn shoots are my absolutely favorite, and I think it will be yours as well. 1.How long will the session be? I get this question a lot. Again, you’ve just brought a baby into this world. One, you and your partner… and the baby are tired. I get it. 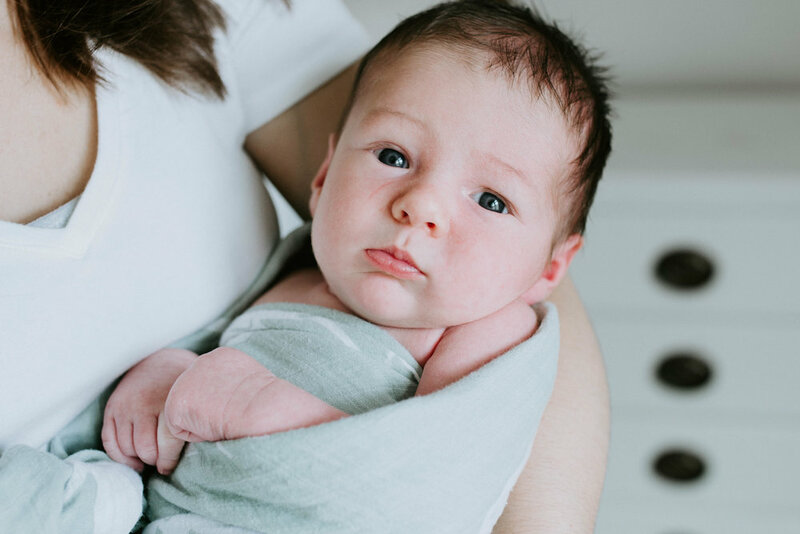 Two, you’re probably still getting used to this whole “we’re parents now” thing, so the idea of an all day photo session just isn’t too appealing. Well here’s the good news. My newborn sessions are typically about 2 hours. And let me tell you, it flies by. These sessions are usually a bit longer than a traditional lifestyle session because we’re on baby time now! Meaning we’re going to take breaks for you to feed your little one, for diaper changes, and sometimes he or she is just a bit fussy and we just need some time. On the flip side, sometimes our session can take up to 3-4 hours. Hopefully, if you continue reading, tips 2-5 will help avoid this and we’ll be done shooting in no time! If you’re reading this, chances are you’ve checked out my portfolio. I am a natural light, story-telling photographer. My expertise is capturing you and your family in the most real setting, which means I want YOU in the picture! Yes, you. Most of my new parents want a combination of photos in which they are in the shot, and some of just the baby. I absolutely love shooting in your home and capturing you all right where you’re most comfortable. Typically, shots of just baby will be done either in their crib, on your bed (I know it’s hard - but try to have your bed made with a nice and light comforter! i.e. white, gray, tan, etc.). We will set up a bit on the floor as well. For the shots with the whole family, we will use your nursery, your bedroom, and dependent on lighting, your living space. I am absolutely open to using other parts of your home like your kitchen or common spaces! As I said, I want to tell YOUR story. If you’re looking for portrait style photography — meaning dressing up your little one in multiple outfits (i.e. bunny rabbits, farmers, elephants, etc.) we will have a small bit of time for this, but this will not be the focus of our shoot. Yes. You read that right. We want to keep the little babe nice and warm. Warning - us adults will probably be sweating. For the best shots and cozy little baby faces, we want your house to be nice and toasting. Just bump up the heat or notch down the AC a bit and your little one will appreciate it. If you have a space heater, that is an option too. That is a nice way to warm the room we’re using, but be able to step out to a cooler room if you’re a bit too warm. Sometimes it may seem like your little one eats as much as a hippo. They are trying so hard to keep their little bodies growing! So remember when I mentioned that a session could last up to 3-4 hours? This is usually why…for two reasons. One — typically, a newborn is eating every 2-3 hours. And that’s on a normal day. While we’re shooting, we’re going to be moving your babe around, changing multiple outfits, probably arranging them in different poses, and that’s a lot of work for a brand new baby! So that 2-3 hours, is more like every hour. Feed time is different for everyone. And two — go ahead and feed your little one about 30 minutes before I arrive. This will help fill their tummy and give them a few minutes to fall right to sleep. A sleepy baby is a happy baby! And much easier to photograph. Okay mommas, this is for you. (Maybe some of my dads too). I know you just brought a child into this world and that is an absolutely magical thing. I’m so proud of you! We schedule newborn sessions within the first 7-10 days of your babies arrival. You’re probably feeling totally in love, but maybe not super photogenic. And that’s okay. I get it! First - be comfortable. It’s a newborn session, we know you just had a baby! Bring on the stretchy pants and comfy top. I don’t care if you’re in your slippers (your feet probably won’t be in the picture). The best pictures are when you are comfortable. Now - on the flip side, if it makes you more comfortable to get dressed up? Do it. These photos are for YOU. I can tell if putting on jeans is just making you miserable, be cozy. Second - I ask you to get in a few pictures, and almost all my moms say to me, “Just get my top half” or “not my belly, please” or some might say “I don’t want to be in any pictures.” I hear you. You don’t feel like yourself and your body is healing. You’re probably pretty sore and trying to figure out this whole mom thing. Well here’s the good news. I know. All photos are meant to flatter you. To capture your smile, and the sweet kiss on your babies head. To see you look at your new baby or my favorite, look at your partner as they hold the new baby in their arms. These are moments you will cherish forever and how wonderful is it that you’re going to have photos to remember it. I ask you to trust me. You may think you don’t want to be in the picture, and maybe right now you don’t, but a few years from now, or maybe even a few months, you’ll be so glad you did. I am so thankful to be a part of this incredible moment in your lives. Share with my your concerns, share with me your wants and wishes. I can’t wait.